Latest attempt to transfer the comic book quartet to the big screen. "A common complaint about comic book adaptations is how visually uninteresting they are, and with 90% of the movie set in a laboratory, Fantastic Four leads us to wonder in bemusement at where its $122 million budget was spent." In the comic book industry, the phrase 'ashcan copy' refers to a one-off publication created solely for legal reasons; usually it's to hold onto the copyright of a particular character. Ashcan copies aren't confined to comics though. In 1994, exploitation supremo Roger Corman, among others, famously made a Fantastic Four movie that remains unreleased. The film was made for no other reason than for producer Bernd Eichinger to retain the rights to the property. Little effort was put into the film, for the simple reason that it wasn't intended for public consumption. This new second reboot of the franchise has no such excuse, but it stinks of ash. Recent years have seen the unofficial formation of the Spoiler Police. Despite forensically studying every frame of every teaser trailer and combing through on-set photos for any hints as to an upcoming movie's plot details, the self-appointed guardians can be found in the comments section of reviews, usually those of superhero movies, moaning about the merest hint at plot discussion on the part of the writer. I can't imagine any such charges being levelled at reviewers of Fantastic Four, as unless you've never heard of these characters, there is nothing to spoil here, as there's barely a plot. Taking the origin story format to new extremes of "Do we really need to see this? ", Fantastic Four opens with Reed Richards and Ben Grimm as kids. The former is a science geek who claims to be close to perfecting matter teleportation, the latter his melancholy working class buddy - one brains, one brawn. This opening is set in 2007. 2007!!! Man I feel old. Cut to present day and Grimm has aged so badly he now resembles a 29-year-old Jamie Bell, while Reed has become the kid from Whiplash. Reed sets off to New York to take up his studies, not at the Shaffer Music Conservatory, but at the Baxter Building, home of the world's greatest scientific minds, having been discovered by Franklin Storm, a kind of Nick Fury for science nerds. 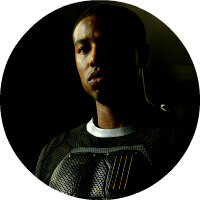 There he is given free reign to develop his teleportation device - which transports matter not to a location on earth but to another dimension - working alongside Storm's daughter Sue (Kate Mara) and son Johnny (Michael B Jordan). Also joining them is Victor von Doom, who seems to be angry at the world for reasons never quite made clear; maybe he should be angry at his parents for leaving him with a name like Victor von Doom. After a couple of montages of welding, bolting and hammering away furiously on keyboards, the team perfect the device, sending an extra from Dawn of the Planet of the Apes to and from the mysterious dimension successfully. It's time to send humans through, but those spoilsports at NASA want to send professional astronauts rather than Reed and his buddies. Having none of this, Victor, Reed and Johnny get wasted (a single hip flask is laughably all it takes between all three) and decide to break on through to the other side, bringing along Ben, whom the scriptwriters seemingly couldn't find a role for prior to this. As you'd expect, and as you already know, BECAUSE EVERYONE IN THE WESTERN HEMISPHERE IS FAMILIAR WITH THIS STORY, their trip doesn't go well. Leaving Victor behind, seemingly drowned in green lava, the other three return, transformed into The Thing, The Human Torch, and Mr. Fantastic. For some reason that isn't entirely made clear, Sue becomes The Invisible Woman despite not having joined the boys on their inter-dimensional journey. Up to the point I've described, the movie isn't all that bad, thanks to the quality quartet of actors at work. It's refreshing to see protagonists whose skill comes from their intellect rather than their physical power. Though they spout a lot of techno-babble, the characters do somewhat convince us of their intelligence. The movie's most interesting character is Ben, but the writers seem conflicted in how to portray him, and there's a point in the movie where you feel he has more reason to ultimately become the story's villain than Doom, who is a shell of a character. The most interesting part of Doom is his initial appearance, made up to resemble screenwriter Max Landis, who director Josh Trank publicly fell out with following their collaboration on Chronicle. Ben's relationship to Reed is a lot like his namesake Affleck's friendship with Matt Damon in Good Will Hunting, and an early scene has Ben tell Reed how the Baxter Building is his friend's natural home. Bell plays it wonderfully, his face telling us his pride is tempered with his belief that his friend has outgrown him. Sadly, there's nothing else in the movie to match this moment in terms of depth. 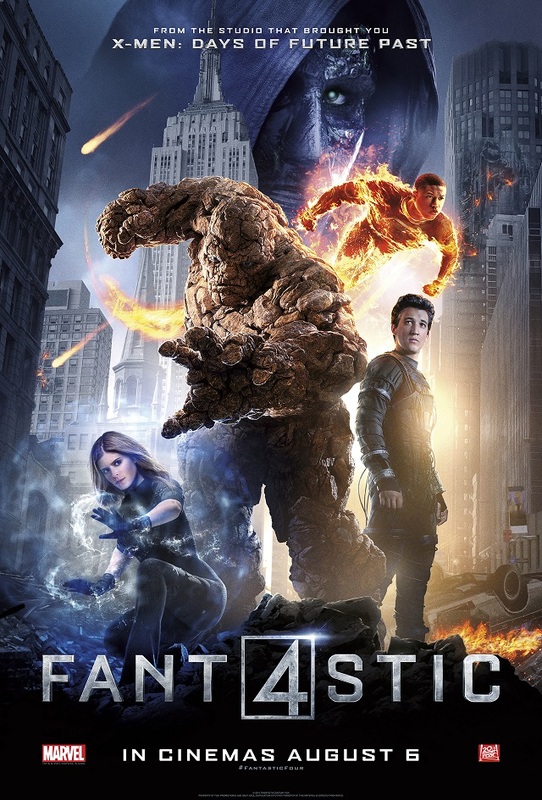 A common complaint about comic book adaptations is how visually uninteresting they are, and with 90% of the movie set in a laboratory, Fantastic Four leads us to wonder in bemusement at where its $122 million budget was spent. More than any other big budget movie in recent memory, Josh Trank's film resembles a TV pilot, one for a series that will never be allowed to play out. A sequel is scheduled for 2017, but everyone expects Marvel to get their hands on this property, now owned by Fox, which means in a few years time we get to sit through this origin story yet again. Don't empty the ashcan just yet.